Yesterday, my heart skipped a beat. 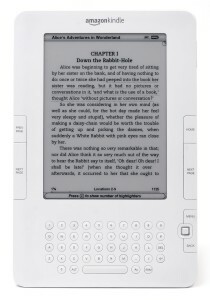 I read online that my darling (OLD) Kindle 2 might become a paperweight if I didn’t update the software. And the deadline was YESTERDAY! YIKES!! Why-O-Why do I have to find out this sort of important information while casually browsing the internet. Amazon — you KNOW who I am. I have an account with you. You KNOW I’m a Kindle 2 owner. You KNOW I am actively buying books from YOU. And……(final but critical)…..you KNOW my email address. Put the puzzle together. It looks like disappointment, dude! But thanks to my friends on Facebook who are fantastic at sharing information…..Peter downloaded the new software for me and today — my good ole gal is still alive. YAY!!! Anybody who knows me knows this. It was a HARD decision to convert from books to a kindle. My sister Debbie bought the kindle for me one year LONG ago when I was traveling for summer break and trying to do carry-on only. It’s hard for a person like me who is capable of reading a book every 2 days on vacation……my books alone can fill a carry-on. Oh yes, over the years I’ve been tempted to buy a new one. My daughter Cait has a pretty little Kindle PaperWhite and that really caught my eye. But….here’s something else about me. I was probably the v.e.r.y. last person to convert from a flip phone to a smart phone. Reason? Simple. My flip phone still worked just fine. Same is true for my Kindle 2. It works. I read my books easily. As I’ve gotten older….I’ve increased the font a little 😀 but — all is good in my reading world. So why change?